That all cabinets start out unassembled or...ready-to assemble to some degree. Some are custom made, some assembled in a factory by the manufacturing staff, and some assembled by the do it yourselfer. By ordering ready to assemble cabinets and putting them together yourself you save even more money. Keep in mind we have fully assembled cabinets as well as RTA cabinets, offering our customer more flexibility. There are not a lot of RTA products in the kitchen cabinet sector and there are differences between some of them. We sell only the ones we actually use in our home and our rental properties. Cabinets we know and trust. Our RTA cabinets assemble quickly, in about 10-15 minutes each and use metal clip systems which really only require a screwdriver, mallet and optional glue. We DON'T sell any cabinets that assemble with a cam lock system. These cabinets are beautiful, sturdy and are nothing like furniture you buy from large stores and have to assemble...no glue, no dowels, no cams and no guesswork. There are many misconceptions about ready to assemble kitchen cabinets. Below you will find answers to the most frequently asked questions about RTA Cabinets. "Are RTA cabinets made of cheaper materials than name brand kitchen cabinets?" This may have been true before the late '90s, when manufacturers still relied heavily on particle board and other flimsy materials, but today, top-quality RTA kitchen cabinets are constructed of solid wood and plywood. Many models are even superior to the name brands. "Are ready to assemble cabinets made as strong as pre-made or custom cabinets?" Because it wasn't put together by a craftsman or machine doesn't mean it is a weaker product. The same building techniques (dovetail drawers and mitered door fronts for example) used by master craftsman are used on RTA cabinets. In fact, since RTA kitchen cabinets ship disassembled, there is less chance of freight damage, so once put together, the unit may be stronger than something that was built, shipped and dinged up in transit. "Can I afford new RTA kitchen cabinets?" It is a common misconception that new kitchen cabinets cost tens of thousands of dollars. This may be true with custom-made cabinetry, but not so with ready to assemble kitchen cabinets. RTA cabinets cost up to 50% less than fully assembled or custom-made units. When you’re buying Pre-Assembled cabinets at a big-box home store, they begin as unassembled cabinets. You pay for that assembly before it arrives to you. You can save thousands of dollars just by completing the assembly yourself which is one of the reasons woodcabinets4less.com cabinets are so much more affordable than what you will find at the local stores. We save you money by removing the middleman and by always keeping you, our customer in mind. "Will RTA kitchen cabinets add value to my home?" Remodeling the kitchen and bathroom is the best way to increase the value of your home, and ready to assemble kitchen cabinets provide an affordable, durable option for increasing the market value of your home. Even more so than custom cabinets because you will spend significantly less on RTA cabinets. 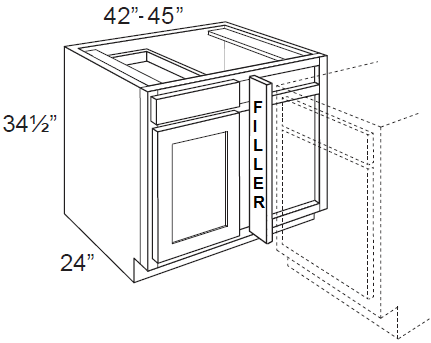 "Can a diy-er or homeowner assemble and install kitchen cabinets?" Anybody can assemble and install RTA kitchen cabinets. Granted, it is a little more involved than putting together an end table, but every cabinet ships with assembly instructions and highlights the tools needed to do the job right. We also have assembly videos available on our site. RTA cabinets are not the kind of put-together furniture you buy at a discount store. "Do RTA cabinets come in a variety of sizes to fit my kitchen?" 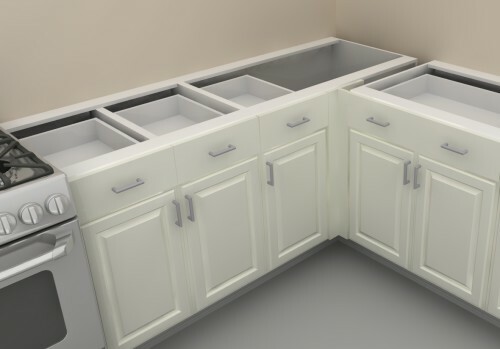 There are ready to assemble cabinets available in almost any shape imaginable, so every area of your kitchen can be filled with useable storage and countertop space. 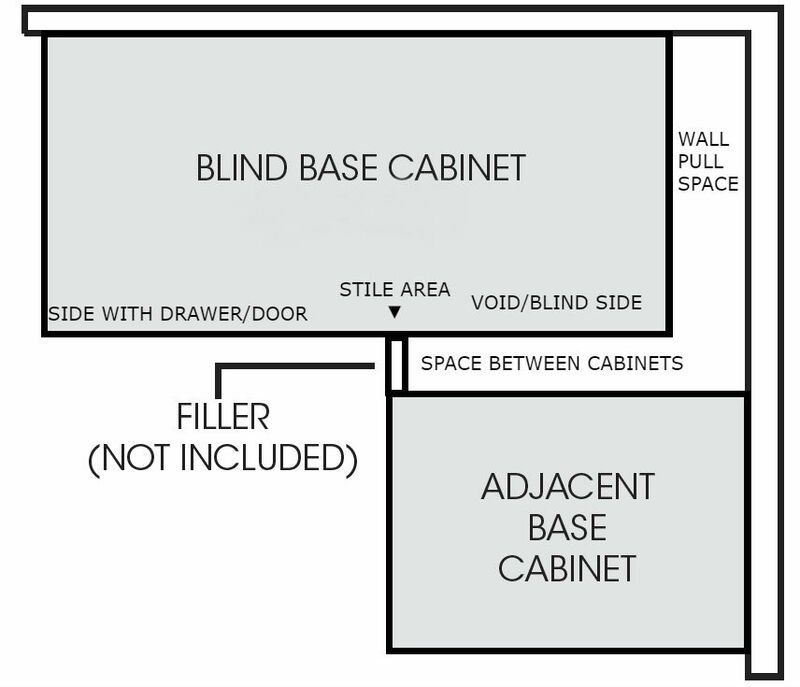 "Do I have to have to hire a designer or architect to layout the cabinets for me?" Kitchen layout and design can be a daunting task, but that doesn't mean you have to spend thousands of dollars to figure out where things go. What is your vision for your kitchen? "Aren't RTA cabinets plain and not as attractive as custom-made cabinets?" This may have been true of early ready to assemble cabinets, but today, the manufacturers have a variety of cabinet designs and finishes to choose from. woodcabinets4less.com has 25 cabinet styles and various finishes available, so from simple to elegant, and country to modern, we have designs to suit anybody's taste. "Will RTA Cabinets take a long time to ship to me?" This depends on the company. Unfortunately, for many online retailers, lead times can be several months, and very little attention is given to the customer once their order is placed. At woodcabinets4less.com, we pride ourselves on customer service and turnaround time. Our cabinets ship in one to three weeks (most ship within three to five business days), and we are in constant communication with our customers through the order and shipping process. HDF is a dense and strong board that provides a smooth and uniform surface wherever it is used. HDF does not have any grain and unlike wood, resists cracking in temperature and humidity changes. This makes it, along with MDF, a popular choice for painted finish cabinet doors. HDF is far more dense/heavy than particle board or MDF. HDF has an even thickness all throughout and is smooth on both sides. It is a type of hardboard made from wood or hardwood fiber extracted from chips and pulped wood which has been glued and heated under great pressure. It has a density greater than 50 pounds per cubic foot or 800 kg per cubic meter. 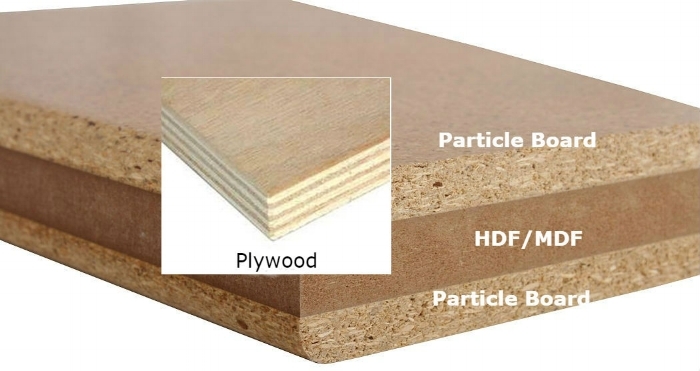 HDF and MDF are not the same as particle board which is produced by heat pressing wood chips and saw-dust and immovably squeezing them together to make sheets creating a very loose structure. Plywood is generally the better product when it comes to cabinet boxes. It has superior construction longevity because it holds screws and other mechanical fasteners more efficiently. It has superior tensile and shearing properties (it resists pulling forces and side-to-side movement) and a slight advantage in compressive strength (the ability to bear weight). 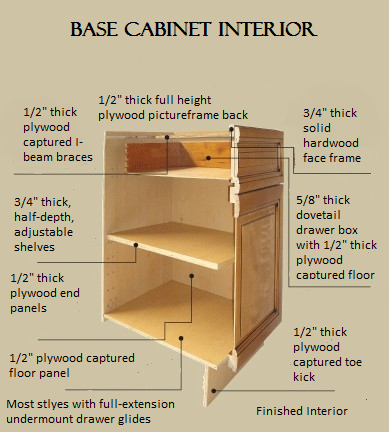 All of our cabinet boxes are 1/2" - 5/8" A-grade plywood. No particle board. Cabinet Features...Not Pretty, But Important! Our roll out trays are made to the same exacting specifications as our dovetail drawer boxes and include the glides. These trays can be added to most base cabinets & pantries in all of our styles. In our semi-custom line the roll out trays are solid Maple and in our other lines they are solid Birch. Both are great materials for this type of item and they come with a durable natural wood finish. This construction method interlocks pieces of the drawer together making a strong drawer box that withstands time and wear. Our dovetail drawer boxes are solid Birch or Maple with 1/2", 5/8" or 3/4" sides and 1/4" - 3/8" thick bottoms. This feature helps prevent the doors and drawers from being slammed shut. It helps protect the integrity of the doors and drawer fronts by reducing the impact of constant use. Most of our cabinet styles offer as a standard feature: 6-way concealed, European style adjustable door hinges and full-extension under-mount drawer glides. All of our cabinets come with finished sides so you don't have to purchase extra skin pieces. All cabinet interiors are finished to match the exterior of the cabinet or offer a Maple or Birch veneer over the plywood. Similar to the plywood cabinet box, a hardwood face frame is important because your cabinet door hinges attach to it. You'll find a 3/4" X 1-3/4" thick Solid -Oak, Birch or Maple face frame on all of our cabinets. 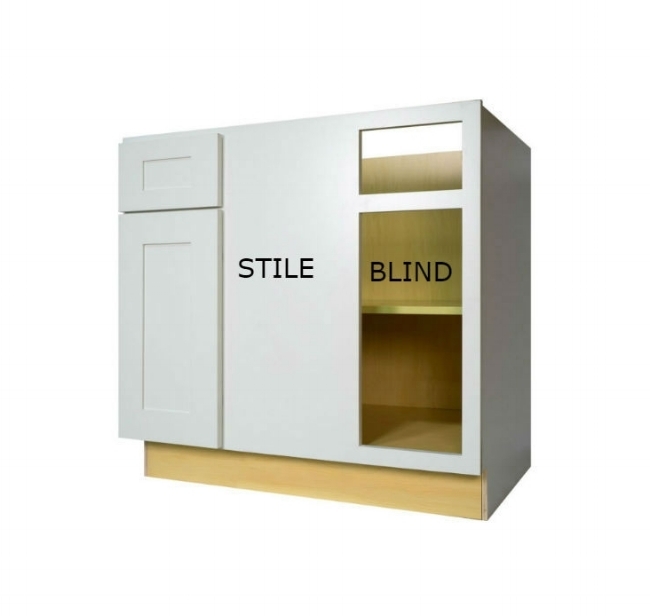 All of our cabinets offer 3/4" plywood shelving that is either stained/painted to match the exterior or has a Maple veneer for a beautiful natural look. A thicker plywood shelf prevents bowing from the weight of the contents on it.